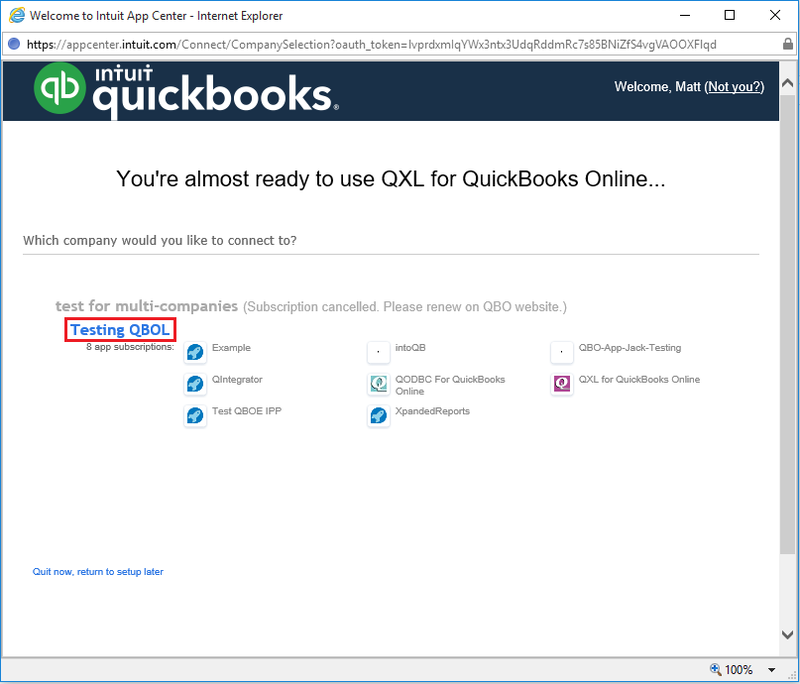 QXL Online is no longer connected to QuickBooks Online. Your user token is no longer valid. After installation, You may notice following icons over the desktop. QXL Online connection wizard should appear. Enter a Connection name to identify which account this represents, then click "Connect to QuickBooks". 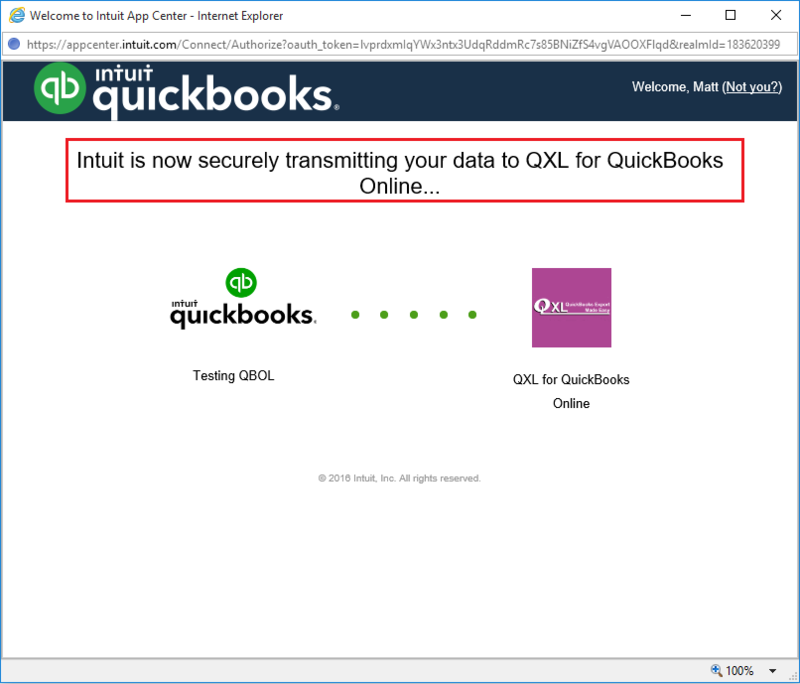 QXL Online will QuickBooks Online authorization page on your default browser. 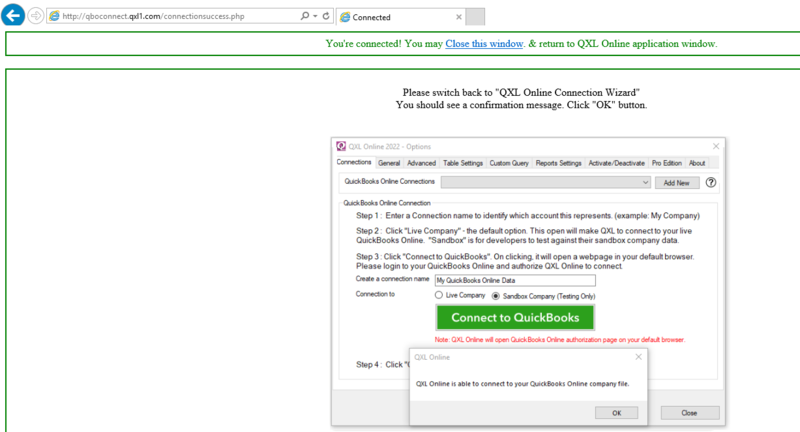 Click "OK" to authorize QXL Online at QuickBooks Online. 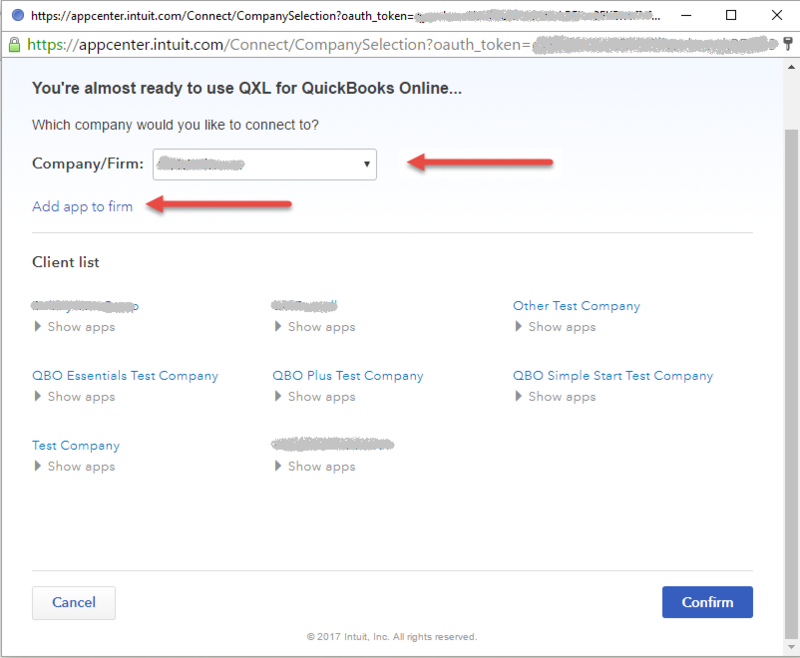 Click on "Connect to QuickBooks" to begin authorization process. (For QXL-Online v18.0.0.025 or lower). 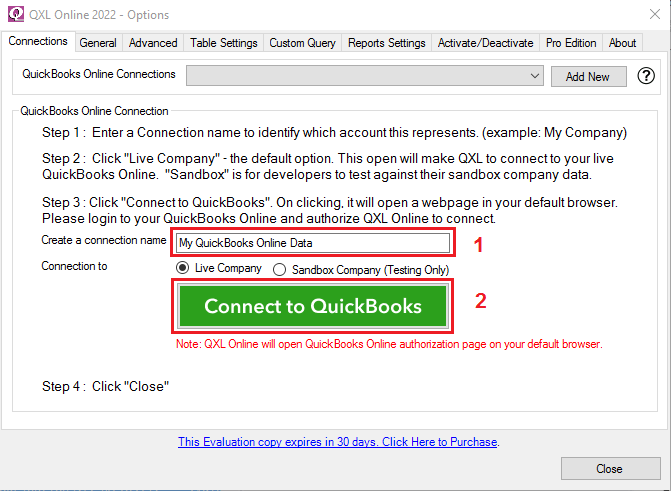 For QXL-Online v18.0.0.026 and above, This step will be skipped and you will be prompted with QuickBooks credentials. 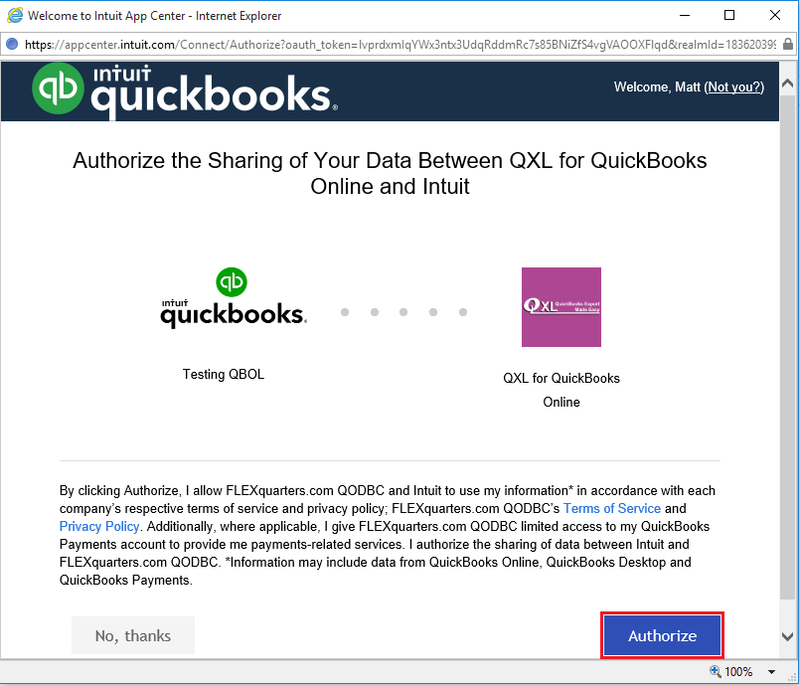 By clicking "Authorize QXL Online to Connect to your QuickBooks Online" open authorization screen. You need to authorize your company file to work with QXL Online. You need to enable popup from your browser. 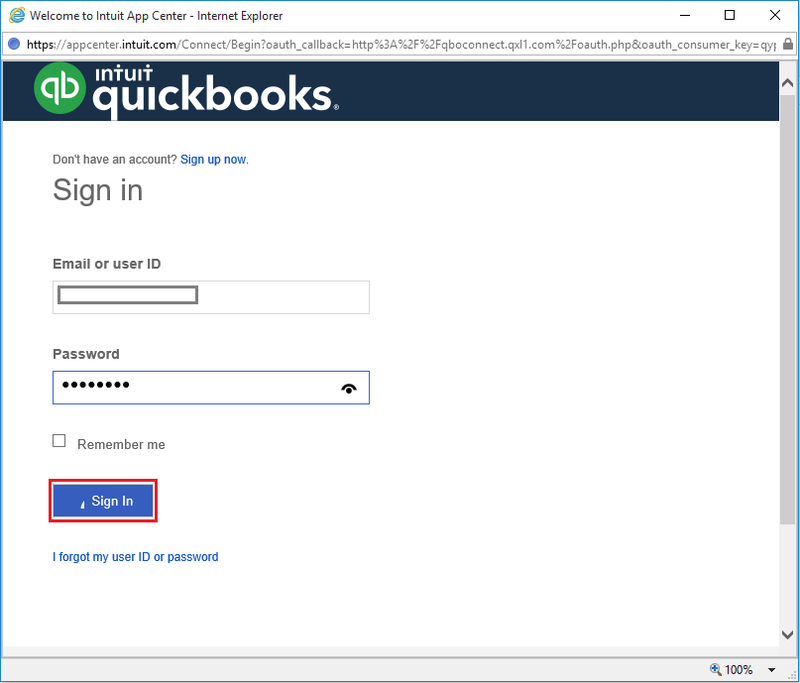 Enter your QuickBooks User ID & Password, then click "Sign In". 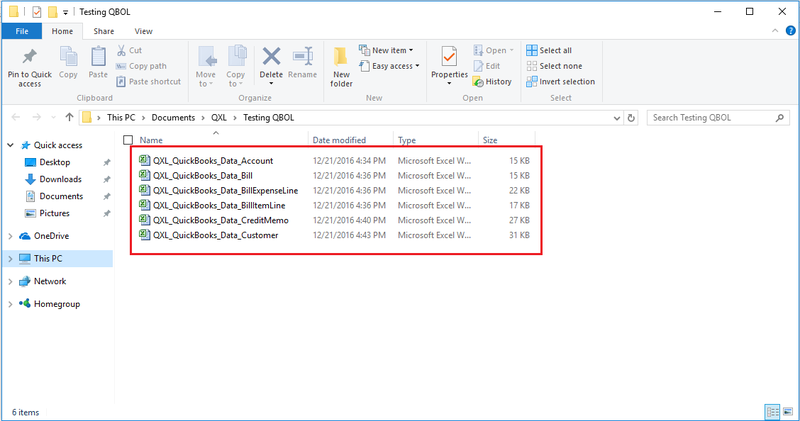 Select company file which you want to use with QXL Online. If you have multiple company files. Select "Company/Firm" from the list. Click "Add app to firm"
After selecting the company, please click the "Authorize" button. 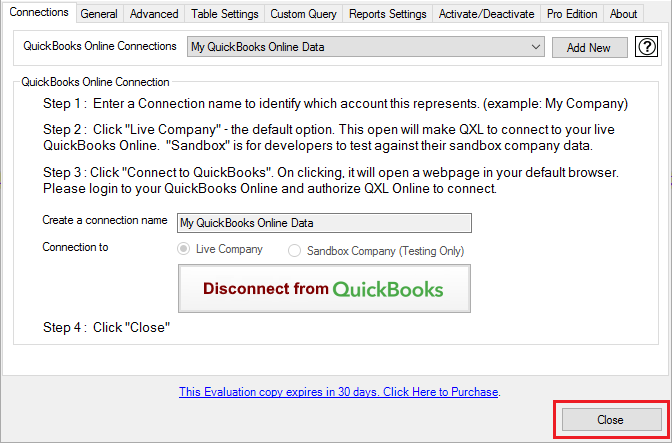 It will allow "QXL for QuickBooks Online" to access your QuickBooks Online company data file. After successful authorization, it will return back to QXL Online page as connected status. You can close this window. 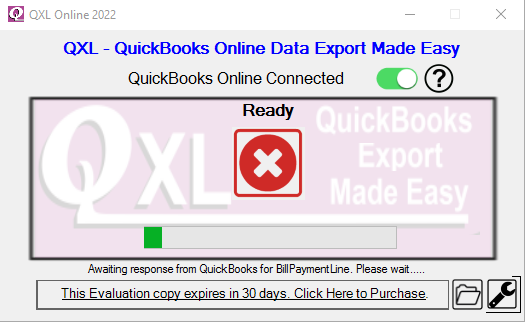 QXL Online is successfully connected to your QuickBooks Online company. Click "OK" & "Close" to complete configuration. 1. 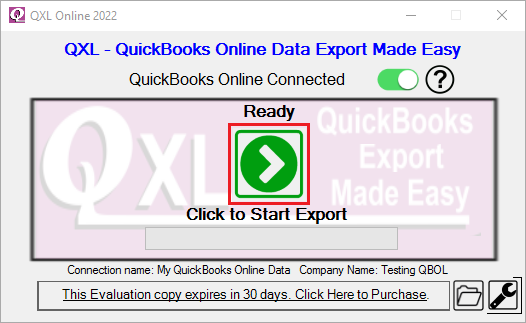 Export QuickBooks Online Data to Excel format. 2. Export QuickBooks Online Data to CSV format. 3. 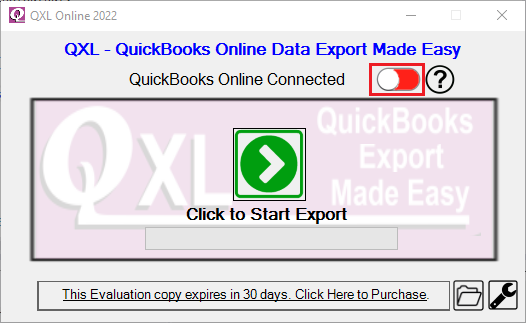 Export QuickBooks Online Data to SQL Server. 4. Choose export file(s) location. 5. Export to Separate files or a single file. 6. Export all tables, selected tables or excluded tables.